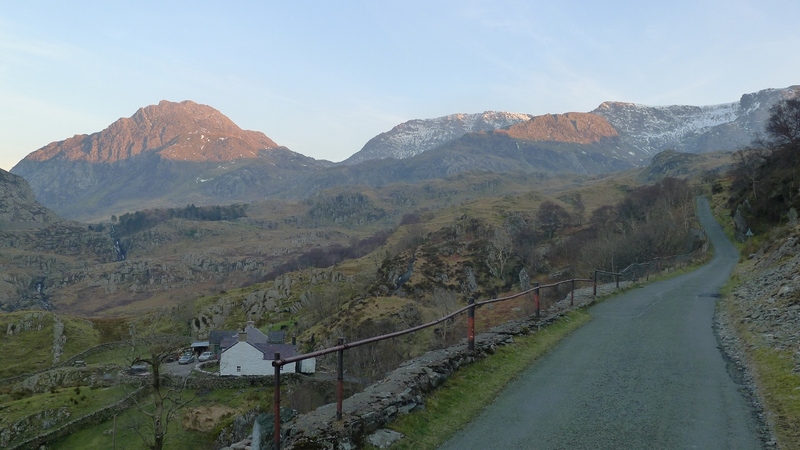 One of the best things about North Wales is that when the weather’s bad there are plenty of areas to go which might be in the rain shadow of the mountains, all within a 40 minute drive of Llanberis. With this summer being one of the wettest on record that’s meant a lot of journey’s to North Wales’ fine and varied collection of sea cliffs. 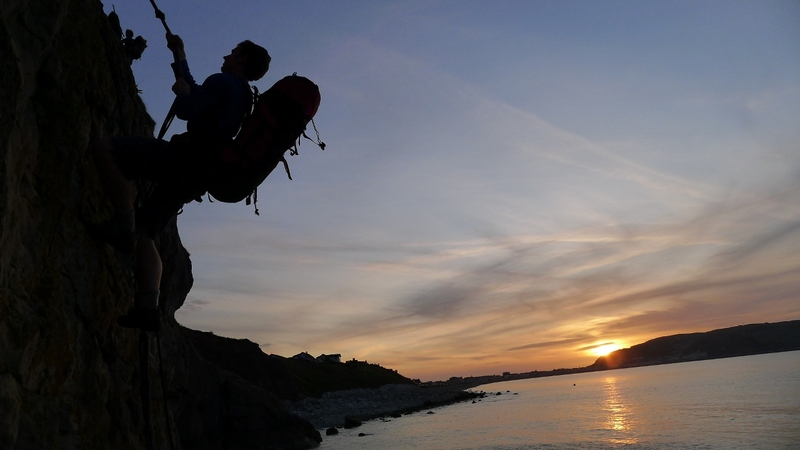 Seeing as North Wales has roughly 400 miles of coastline it makes sense that there are many sea cliffs; in fact, enough to fill four climbing guidebooks! 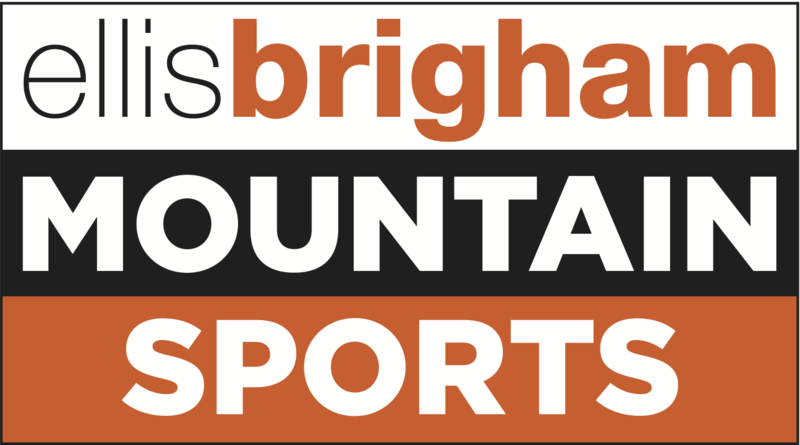 The climbing varies from single pitch sport climbing on excellent quality limestone to great big adventurous routes on shale cliffs equally as good but perhaps a little less to everybody’s liking. 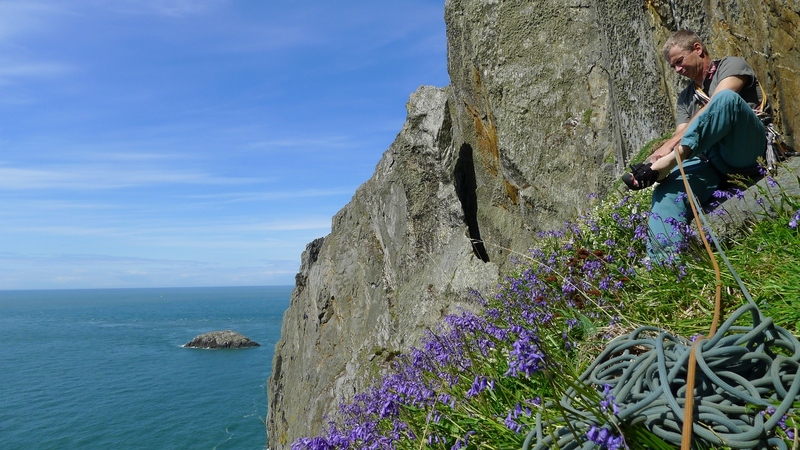 My favourite sea cliff is undoubtedly Gogarth on the north-western tip of Anglesey. 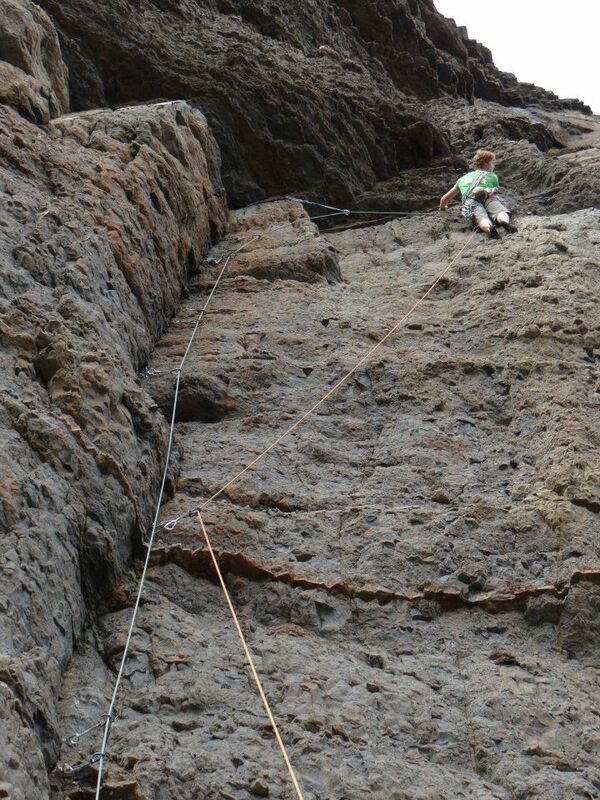 It is a true climber’s playground with a lifetime’s worth of climbing on mainly solid quartzite rock. 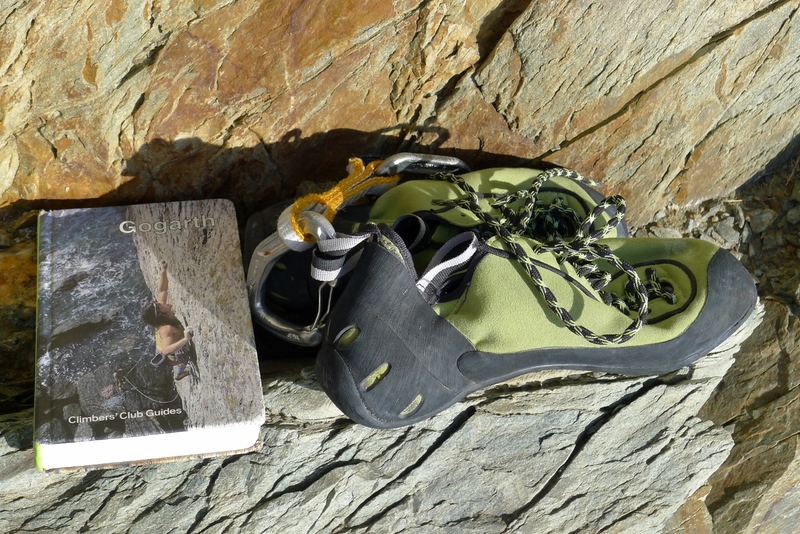 It’s sunny aspect and often plentiful gear placements make it a good choice for a long day out whether you’re in search of a committing adventure or an easy day’s cragging. Perhaps the two most classic and sought after routes are the famous A Dream of White Horses and Conan the Librarian. A Dream of White Horses is famous for the wild position of its main pitch tackling ground normally associated with much more difficult routes and should be on every ambitious VS climbers tick list. Conan the Librarian on the other hand tackles probably the ultimate line of Gogarth up the big sea arch of Wen Zawn. Having climbed A Dream… years ago when I started climbing Conan had always cried out at me to be climbed and I finally found a climbing partner and picked a date to try it last month. We couldn’t really have picked a much worse day in terms of the greasy conditions that often plague this part of Gogarth but I decided that I might as well go for it then as I didn’t know when I’d be back to try it next. 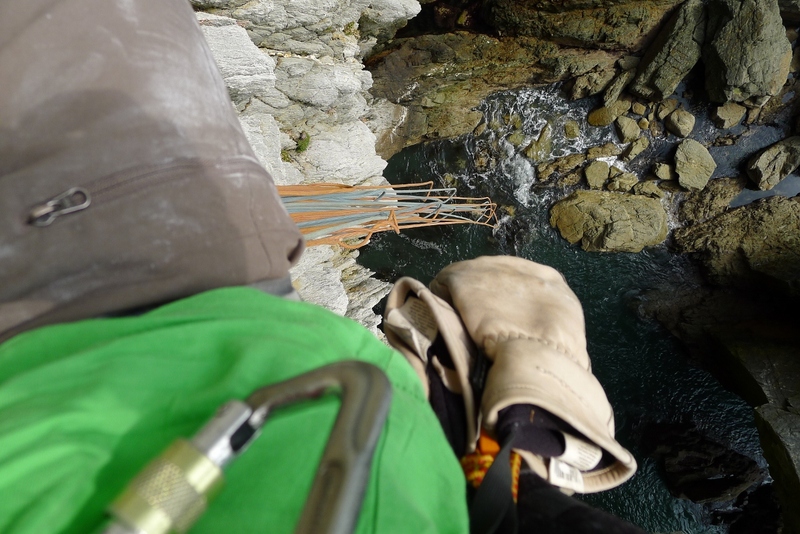 The climbing is excellent, a lot more intricate than your typical Gogarth route with tenuous and well protected bridging up the first groove to an exposed and uncomfortable hanging belay in the break below the second pitch. Unfortunately I fell off the first pitch- and then pulled a big useful hold off higher up the pitch but it was still great fun. Steve seconded and racked up ready for the next pitch, a much easier but bold corner. I placed his first piece of gear a metre right of the belay to get him going and Steve made steady progress above placing quite a few wires, none of which he seemed happy with. 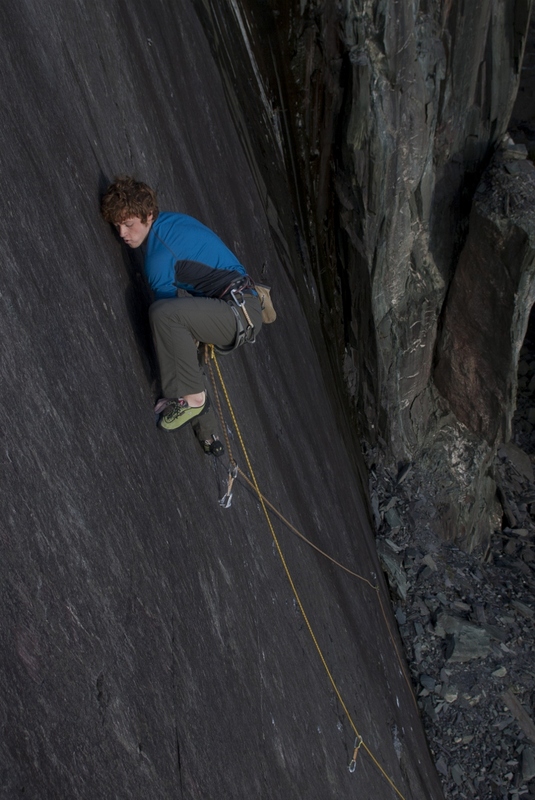 He began to tackle the last difficult sequence of the pitch but ended up calling down to me to take in as his holds were so greasy he could barely hang on. He fell off stripping every piece of gear as he went apart from the first cam I placed in the break. A sure fire 60 footer leaving him stranded in the centre of the arch beneath me and directly above the sea. After a lot of faffing we retreated with our tails tucked between our legs having had a good adventure and keen to return at a future date. 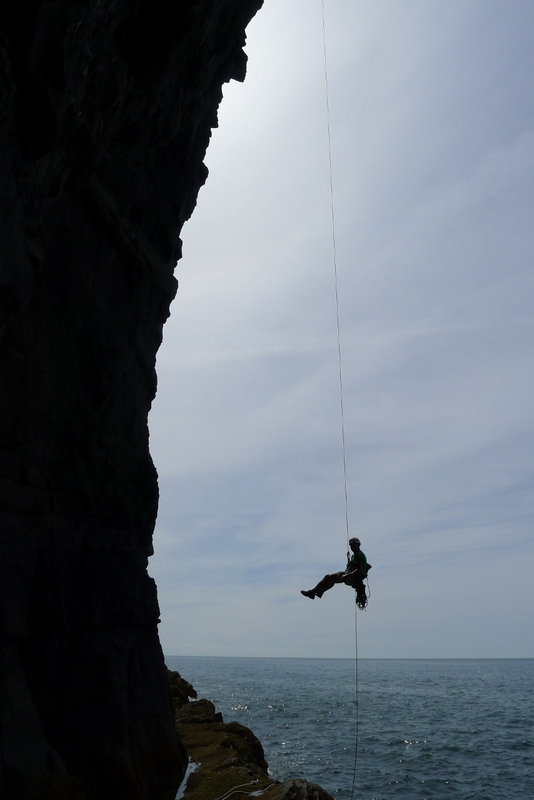 Gogarth isn’t the only good adventurous sea cliff though, in fact for real adventure you need to go to the Lleyn Peninsula, an esoteric area which is always sunny and often scary! 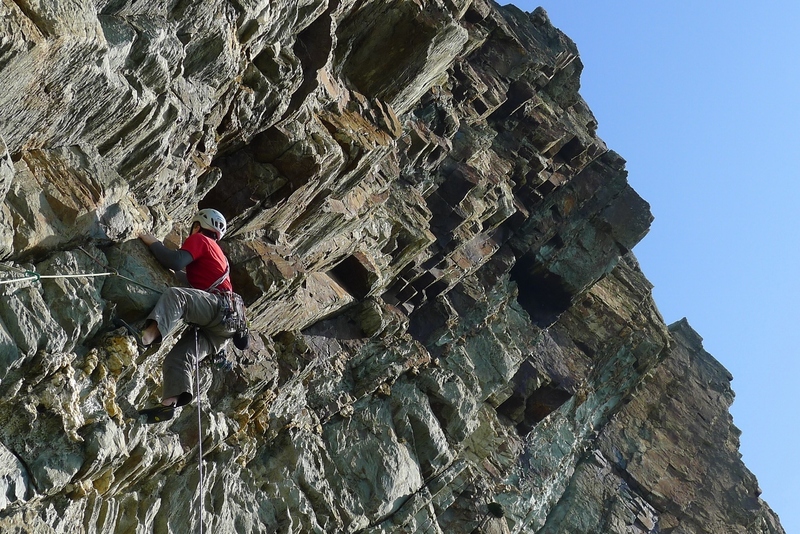 The rock quality in places is often poor requiring a connoisseur’s appreciation but some of the climbing and positions are excellent. I haven’t seen another climber there on one of my visits yet. 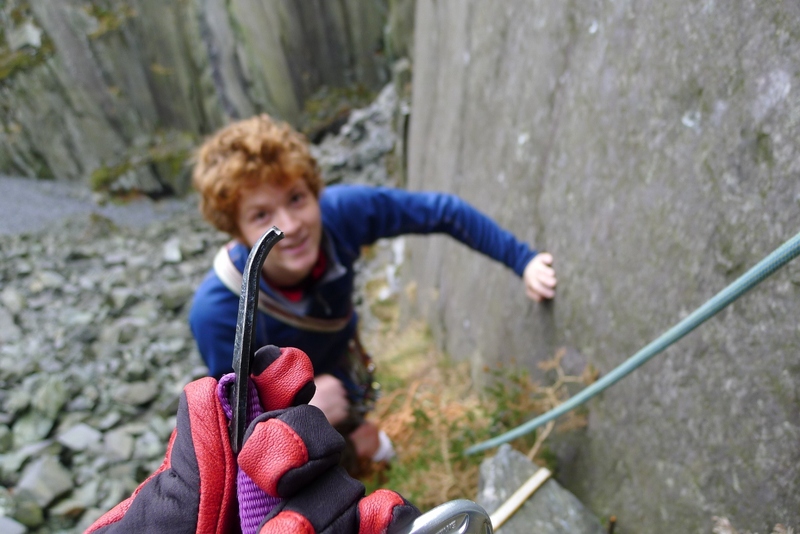 Craig Dorys is the best developed crag on the Lleyn with many challenging routes and all are single pitches (not to be mistaken with Stanage though!). 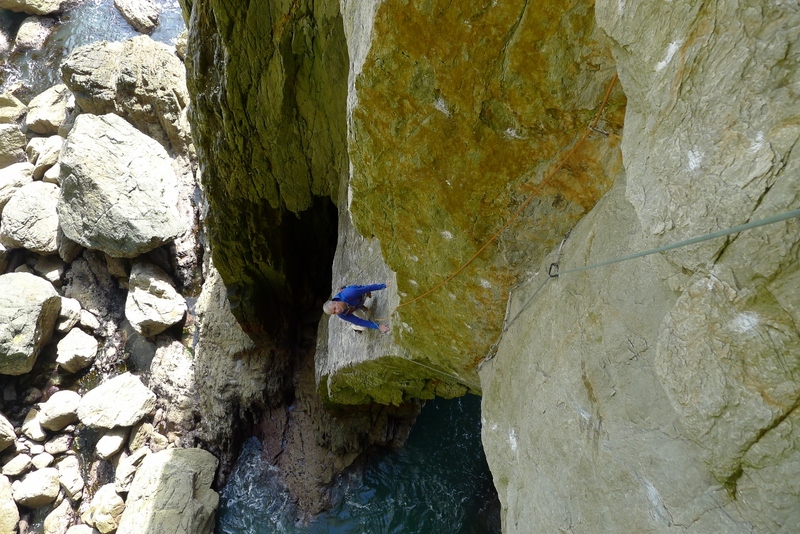 I’ve had a successful few visits there climbing most of the classics and repeating some of the harder routes; Cripple Creek (E3), Byzantium (E4), Trebizond (E5) and Tonight at Noon (E6 6b) are all fantastic routes and should be on the tick lists of those climbing at the respective grades. 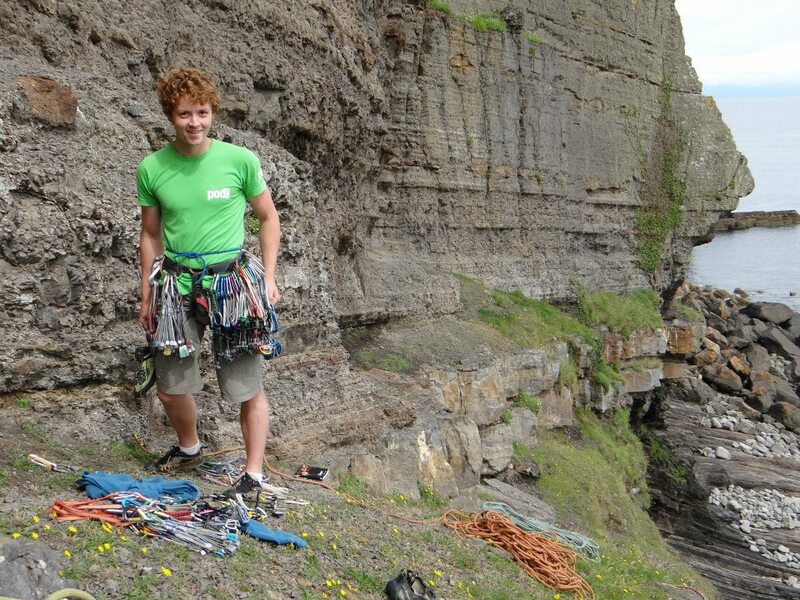 Dorys also requires a big rack of climbing gear. I placed around 40 pieces in a single pitch on both Rust Never Sleeps and The Gross Clinic E6 and E6/7 respectively. 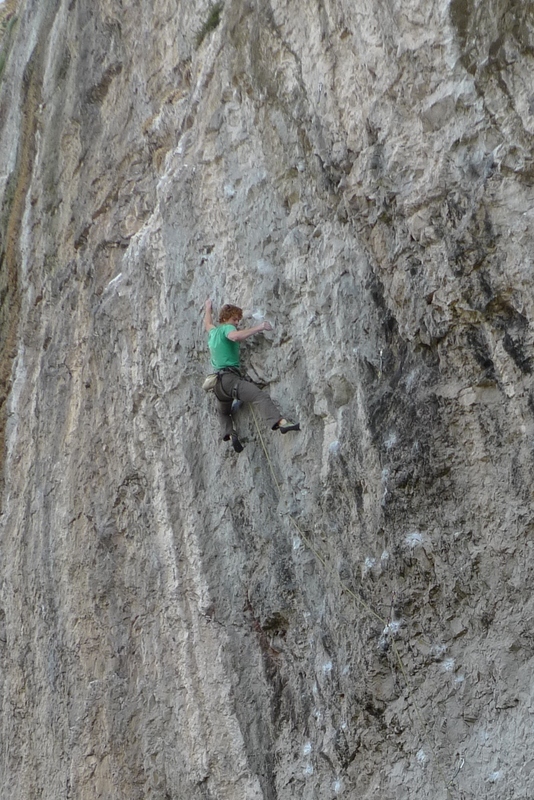 I also had a go at making the 2nd ascent of a Stevie Haston E7 called Harmony recently. I attempted the line on-sight originally getting up to the crux but simply couldn’t see what to do or where to go so down climbed. 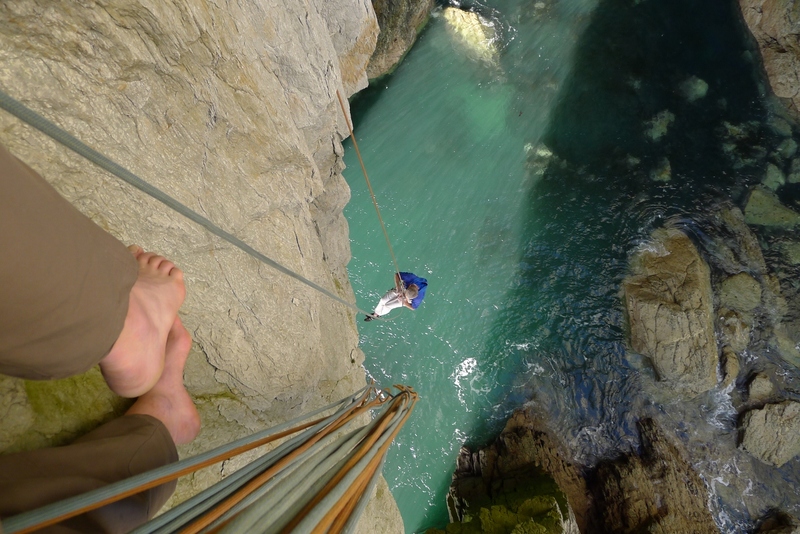 I ran to the top and abseiled down quickly in my trainers finding some hidden holds which I chalked up to help me out. I led the line next go and there’s an outrageous long reach on it but fortunately a well protected one. 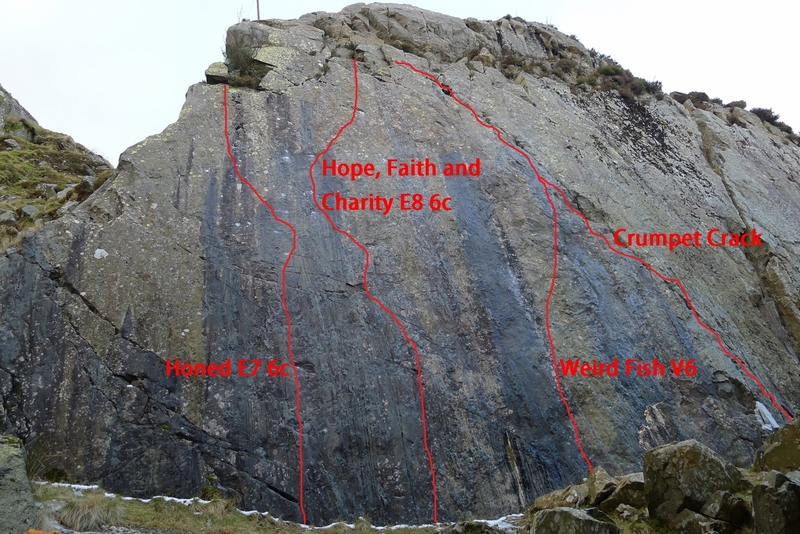 I later found out that this was in fact a new route as I’d started in the wrong place and headed out left from the crux of Harmony which might suggest why the climbing felt so dynamic. Anyway, it’s now called ‘Discord’ and graded E7 6c. 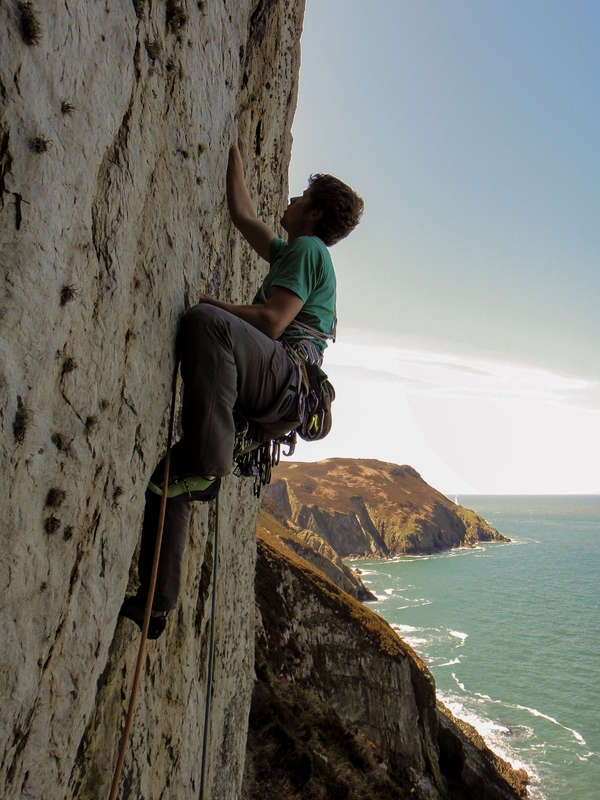 I’ve had other adventures on the Lleyn as well recently on even more impressive sea cliffs and I managed to make the first ascent of a really fun new route in Twll Mawr on the slate which I called ‘The Hunted’ and it weighs in at around E6 or 7 6c. Off to the Alps next- let’s hope the weather gods are kind! 2012 started in a wet and windy fashion for me when I spent a week up in Scotland over New Year. 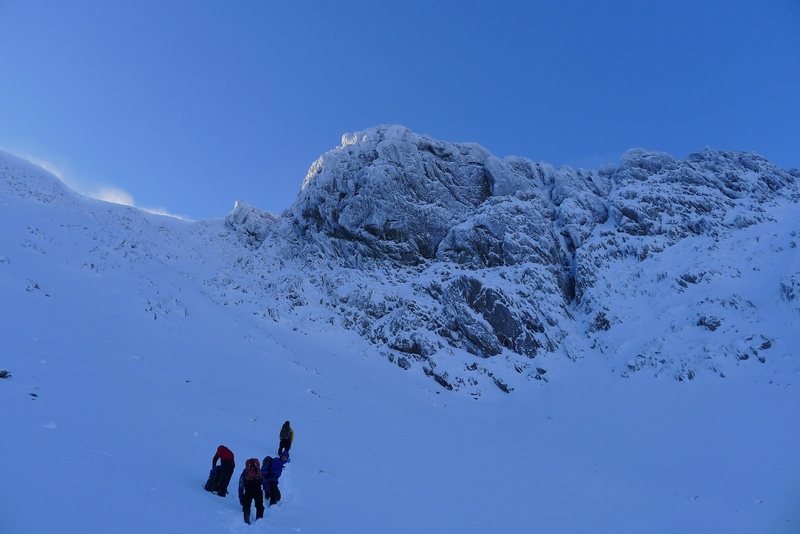 A big group of us had booked some chalets in Roy Bridge for a week of winter climbing- unfortunately the weather had different ideas! 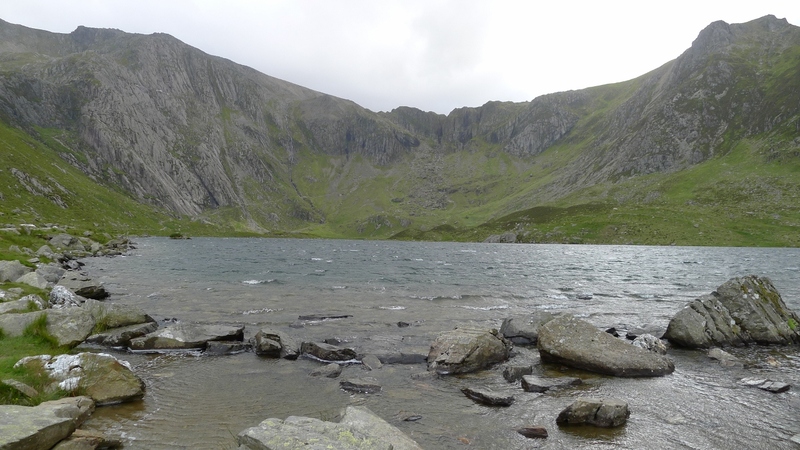 The winds were gusting up to 120mph and the temperature limited us to only a few crags. I was climbing with Chamonix based climber and superb photographer Jon Griffith. You would expect a Chamonix based climber to hate bad weather because you can pick and choose good weather days when you live out there. Jon, however, was mad for it! He was dragging me out every day in either hurricane force winds or generally wet and miserable weather. 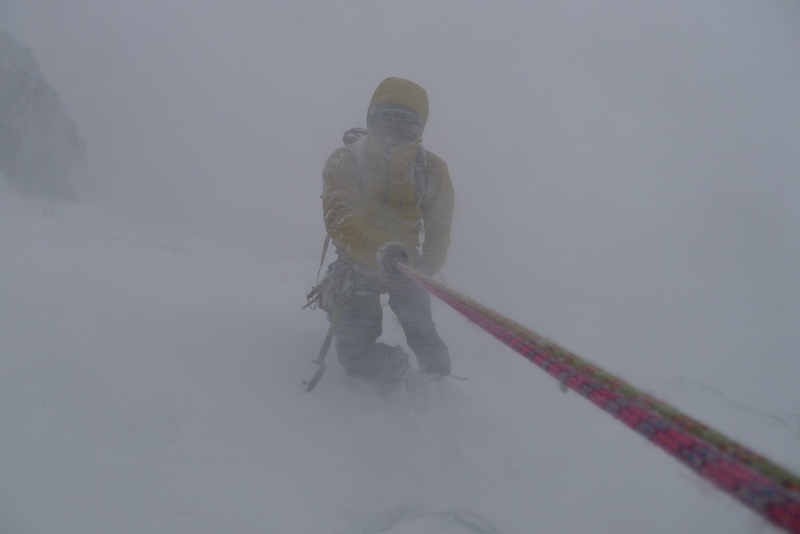 On our first day, the winds were gusting up to 120mph, we still climbed a route though, holding onto our axes for dear life! 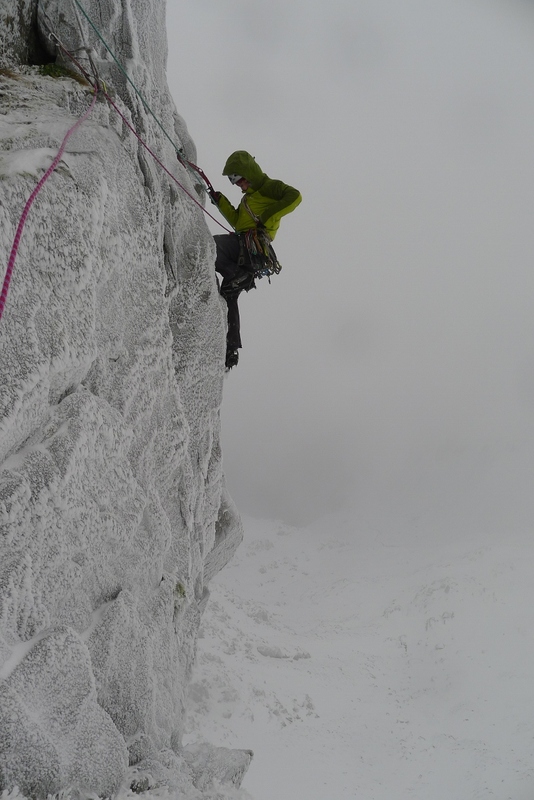 We only had one day of reasonable weather and we climbed the teetering test-piece that is ‘War and Peace’ on Coire an’ Lochain in the Cairngorms, with Jon pulling out a good lead on the first pitch. 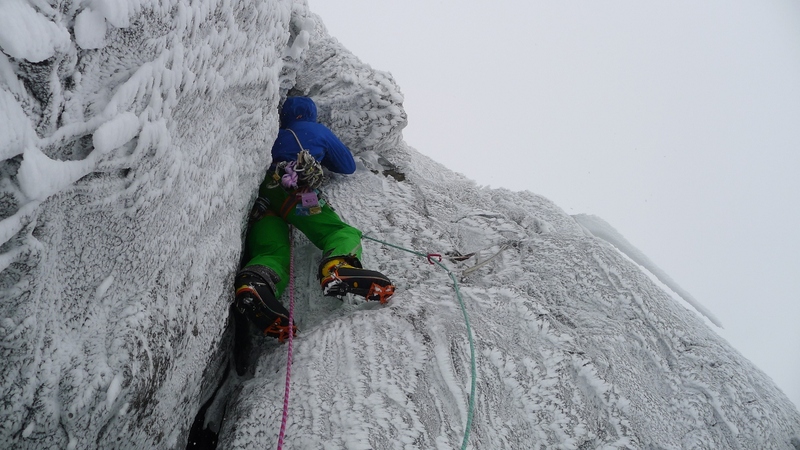 Despite the weather allowing us to climb only two routes in five days of trying we still had a good trip. After that I made a quick trip up to Northumberland with James McHaffie to Bowden and Back Bowden Doors. 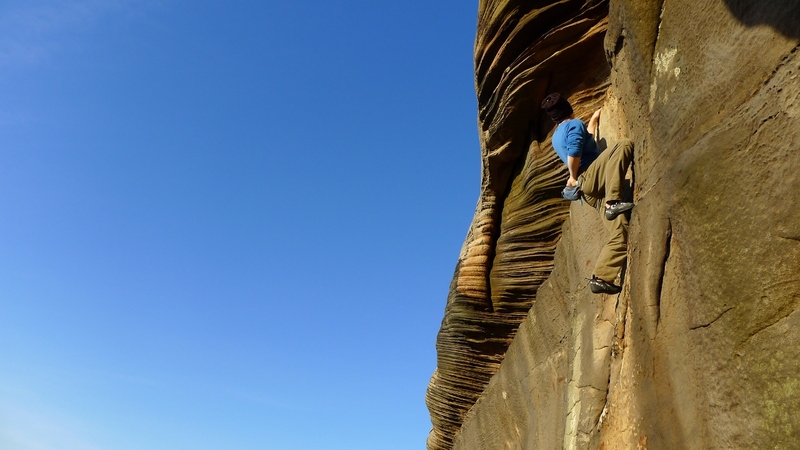 I was really impressed with both crags and the quality of the sandstone was superb. 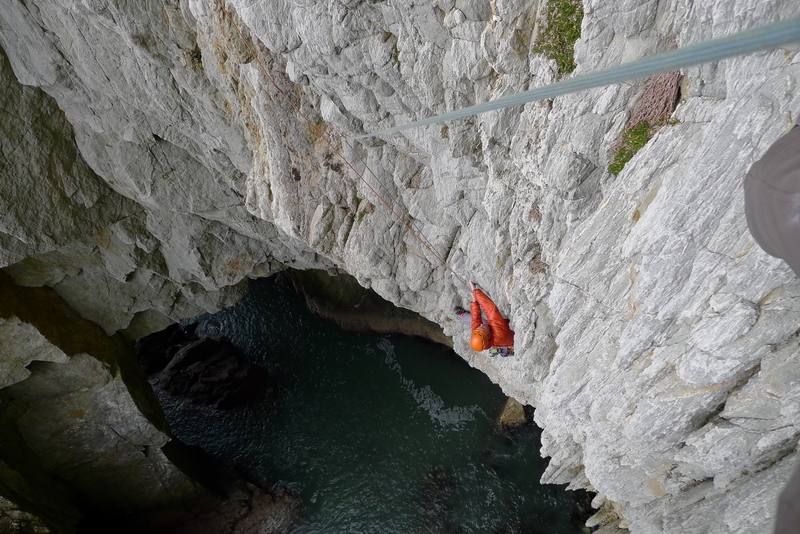 James managed an impressive on-sight of ‘On the Rocks’, a technical E7 6c and we climbed a bunch of other classic routes such as ‘The Tube’, ‘Poseidon Adventure’ and ‘The Bends’. 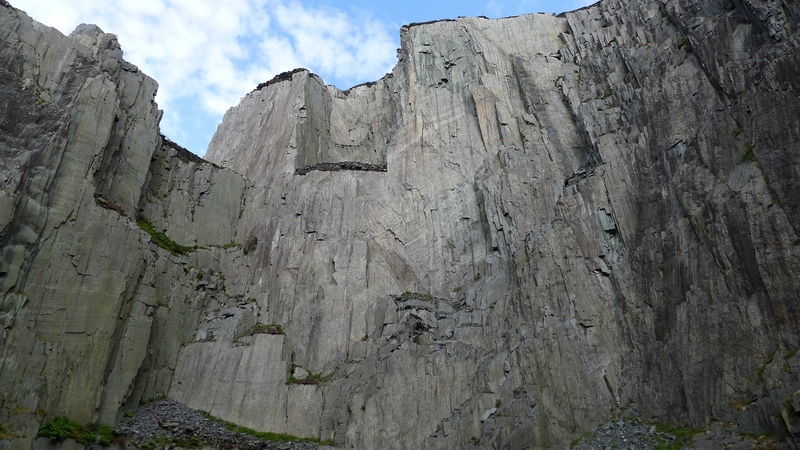 Back in North Wales I’ve enjoyed a few days on the slate making perhaps the second ascent of Johnny Dawes’ extremely bold route ‘The Dyke’E6 6a in Twll Mawr. 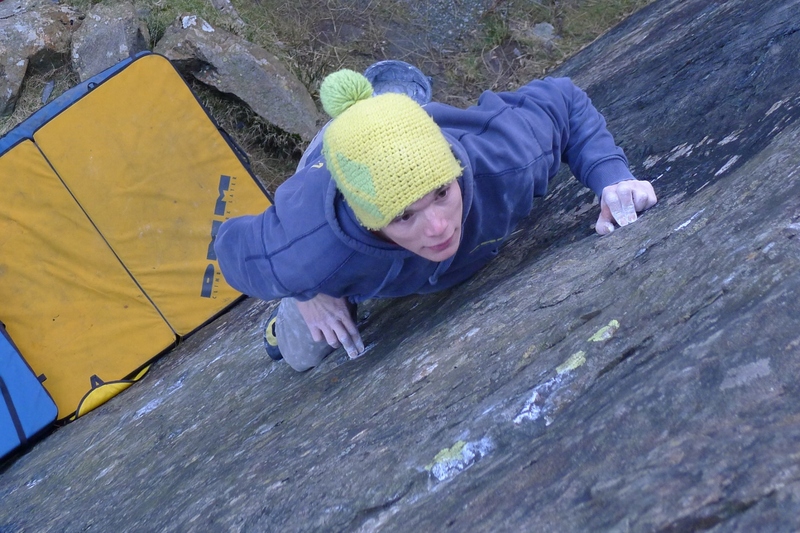 I also climbed a Rainbow Slab classic, ‘Stiff Syd’s Cap’ E6 6b which had fantastic moves on perfect slate. Mark Reeves came along to take some pictures and took some great shots. 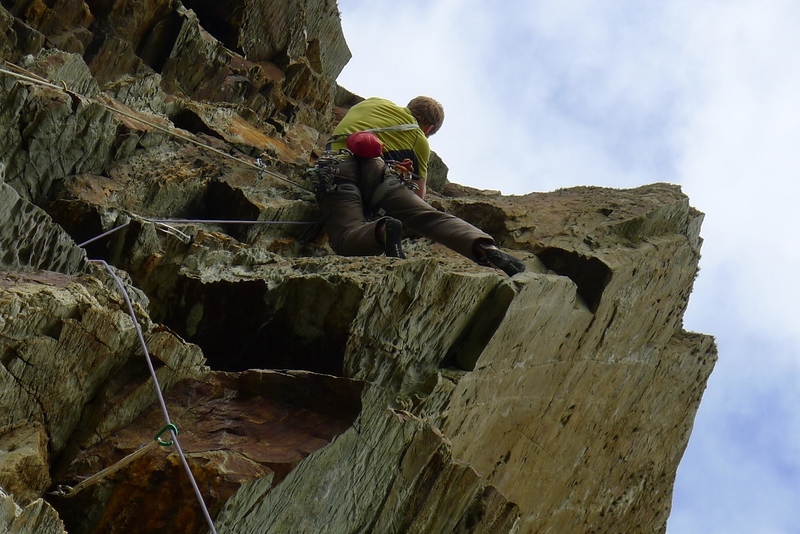 I also managed to deck out on a slate route, fortunately from not very high up, and snapped a sky-hook in the process- they say 2kn breaking strain for a reason! After that I decided that perhaps bold trad wasn’t ideal for a cold day so changed themes and went sport climbing where I red-pointed another Johnny Dawes classic called ‘The Medium’ F8a. I first tried to on-sight this route very optimistically when I was fourteen. Suffice to say I didn’t manage it then and after a quick attempt on top rope forgot about it for four years. It was really nice to finally climb ‘The Medium’ as I remember when I first started climbing here I couldn’t understand how anybody could climb these routes! It’s a funny thing getting back into climbing after doing very little. Following my return from the Alps I’ve been so keen to go climbing but fairly hopeless at completing various projects. If anything I think this has helped my motivation and I feel like I’m on the verge of actually getting up some routes! 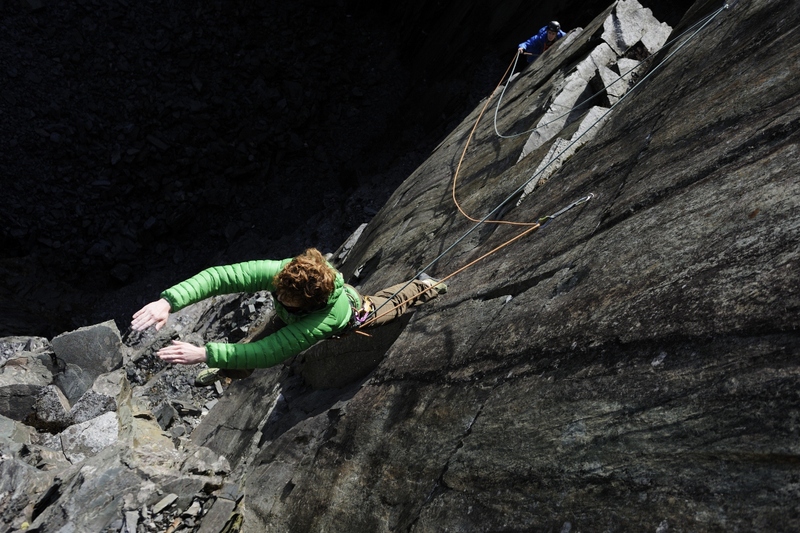 I’ve spent a bit of time in the slate quarries recently which has been really fun. 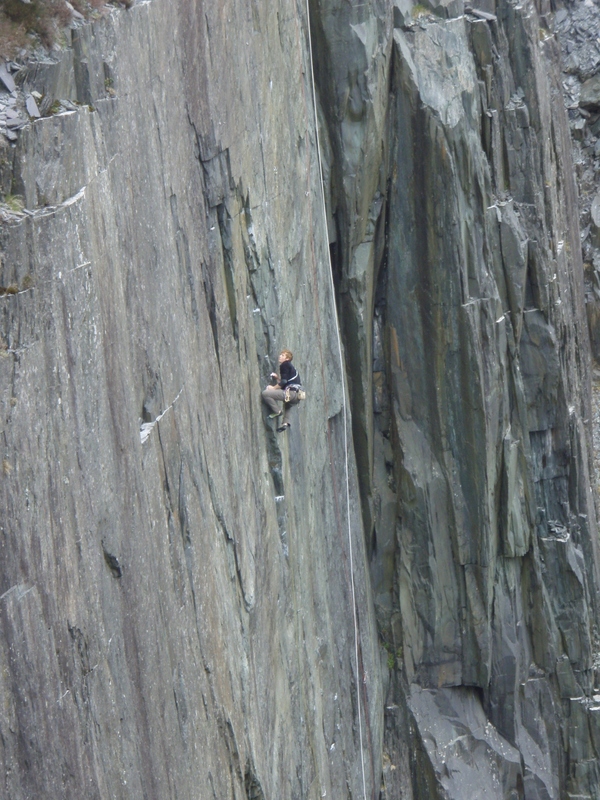 I climbed on the slate so often when I started climbing that I climbed many of the routes I wanted to do so subsequently haven’t been a regular visitor, but with the bad weather we’ve had, it’s been one of the few places to climb due to its remarkably fast drying qualities. 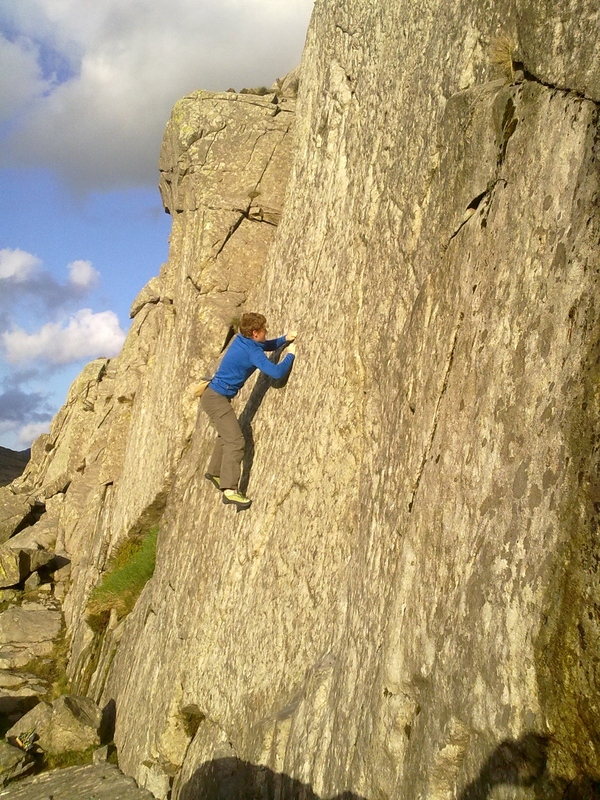 There are lots of potential new routes to climb in the quarries and I’ve been particularly keen to try some projects in Twll Mawr recently. 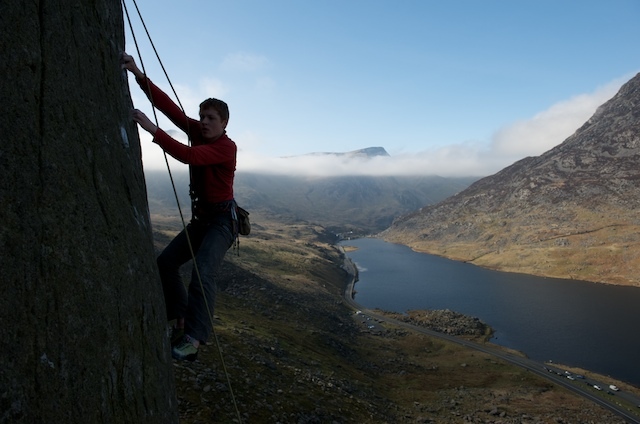 Twll Mawr is a big, eerie place to climb with the hardest multi pitch climbs in Wales and the longest sport route in Britain. 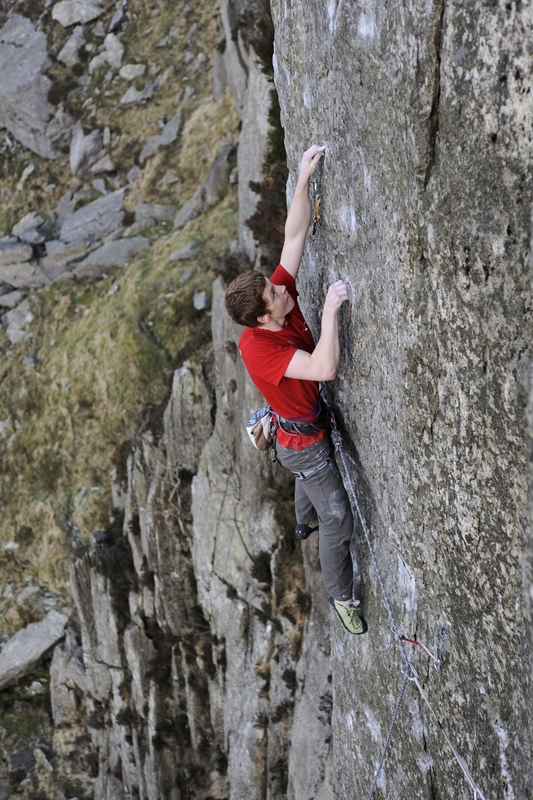 The line that I spotted recently was a route climbing directly above the famous Quarryman groove. I rapped the line, gave it a quick clean and tried the moves and was amazed at how straight forward the route was considering that entry level to this section of wall is normally about F7c. 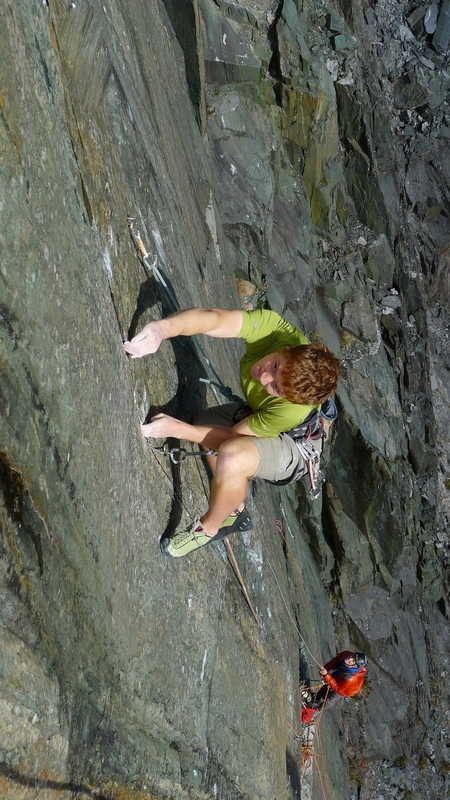 I was so keen to climb the route that I persuaded evergreen Rob Greenwood to join me after finishing work. We rapped in to the belay ledge and I tried the route quickly on top rope, somewhat concerned about the run-out nature of climbing but I felt solid on it and lead the route without too much trouble- Rob had even untied himself from the belay at one point ready to jump off the stance to prevent me from hitting ledges if I fell, a brave thing to do considering the position (see Stone Monkey!). It climbs a nice groove feature in the headwall and it was great to climb it all on traditional gear. The route next to this one carries the extremely odd name of Phil’s Harmonica, so we continued with the theme and christened this one Mike’s Trombone! 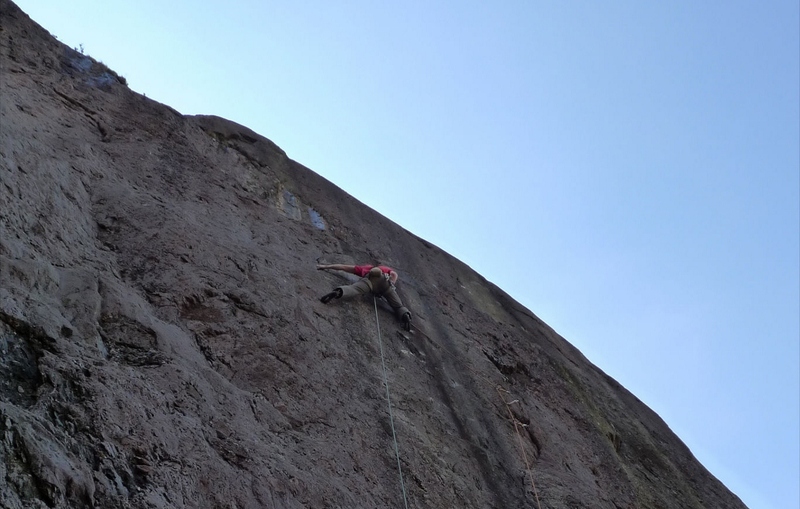 The following day I succeeded on another new line at the bottom of the same wall, a technical pitch with a flamboyant finishing lunge for the last hold. Probably a more difficult lead than Mike’s Trombone, but perhaps not quite as good. 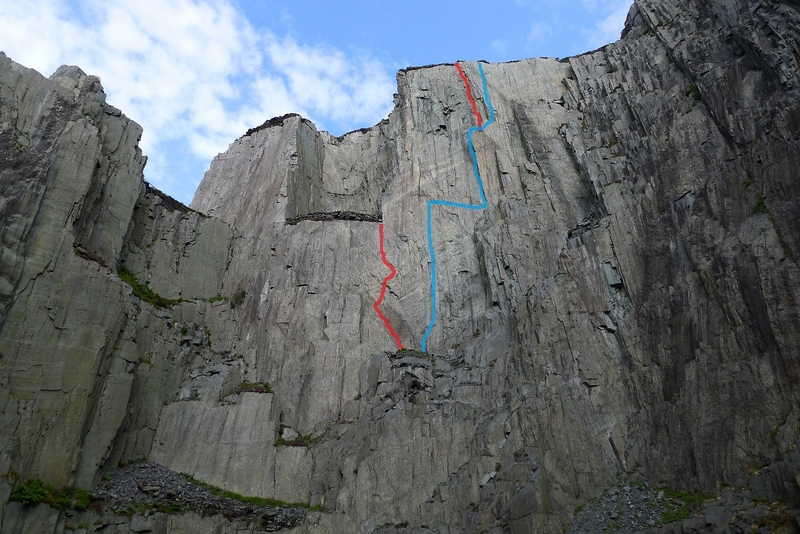 Last week Ian Lloyd-Jones made the first ascent of Rock Bottom Line, a spectacular 5 pitch sport route on the right hand side of the Quarryman wall. 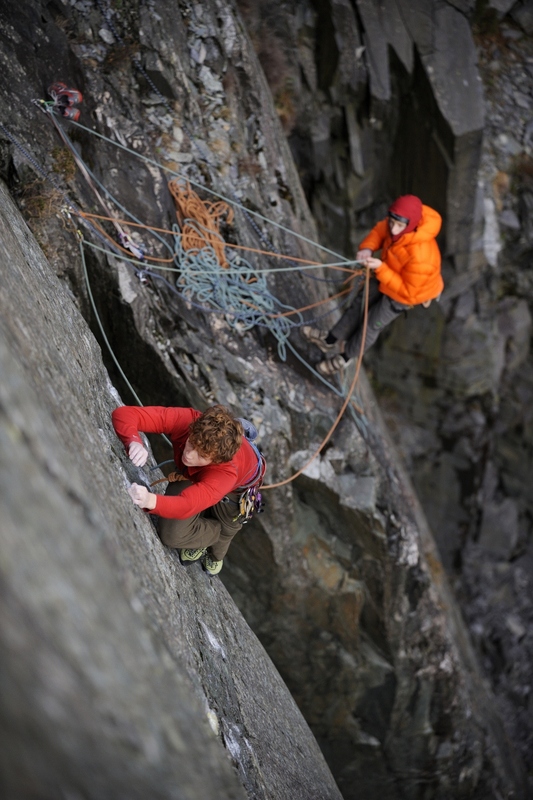 I returned with him and his climbing partner Sion McGuinness the following day to repeat the route. 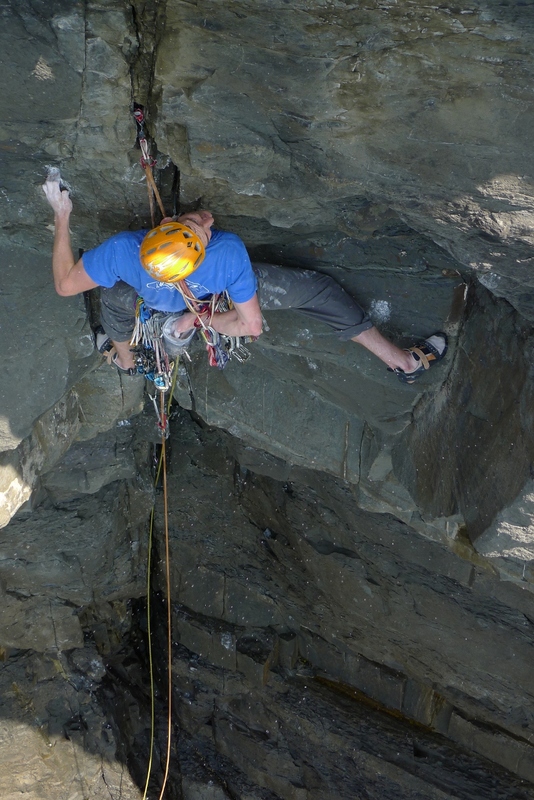 The fourth pitch in particular is fantastic, climbing a technical and slippery groove, the rest of the pitches are also good fun- it’s a route sure to become a modern classic. 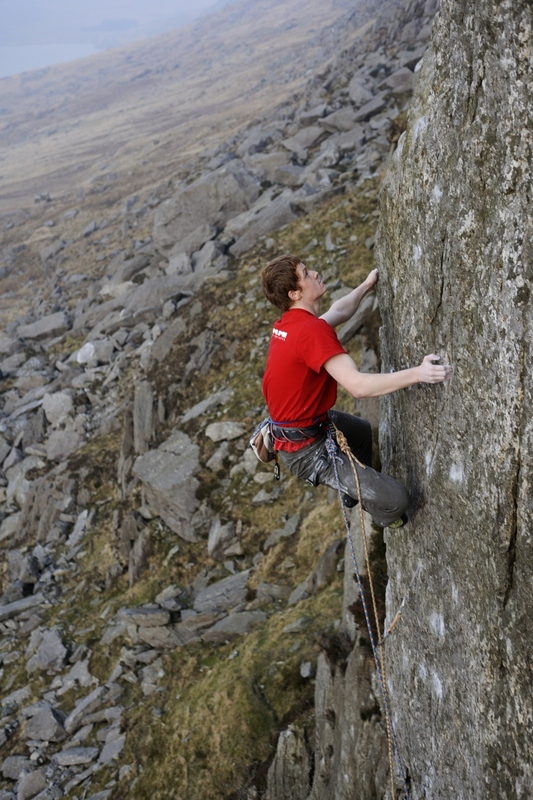 The Quarryman wall is an amazing place to climb with atmospheric, ‘airy’ and powerful climbing. Nine out of the thirteen routes on the wall remain unrepeated; several have remained unrepeated for 25 years! 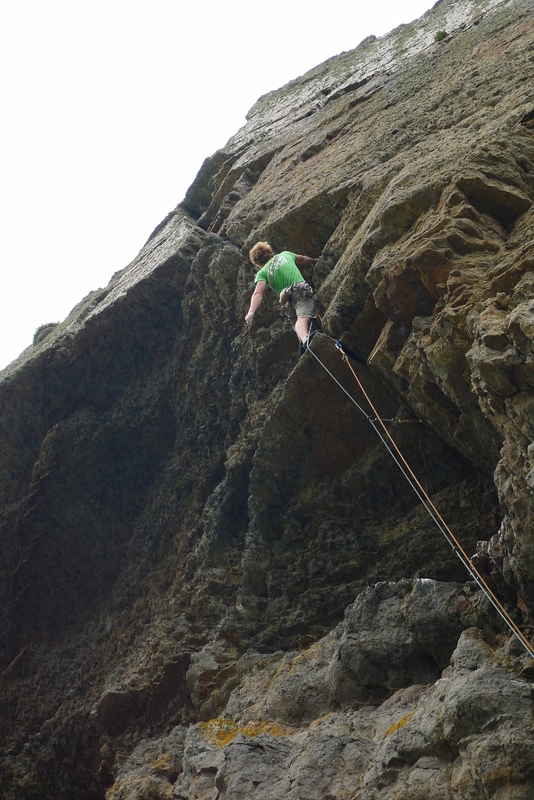 Having tried a couple of the harder unrepeated routes I can certainly vouch for their quality and I look forward to having an opportunity to repeat them once the weather relents. 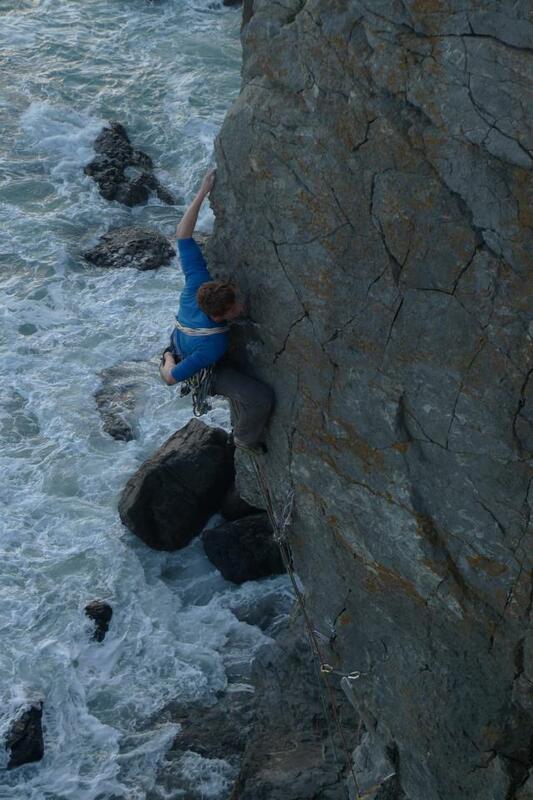 I’ve also spent a bit of time climbing over on the Little Orme recently at the brilliant Diamond. 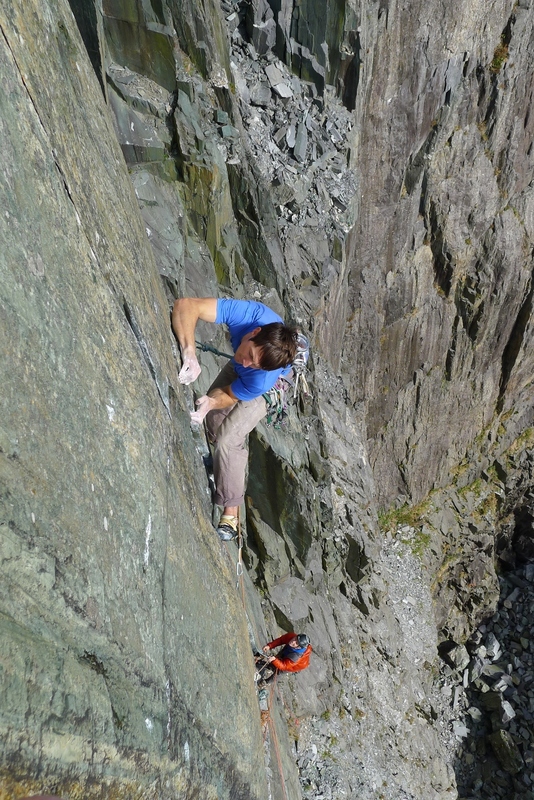 The approach involves a long and exciting hand-line which leads you to the best limestone crag in North Wales- unfortunately prone to greasy conditions. 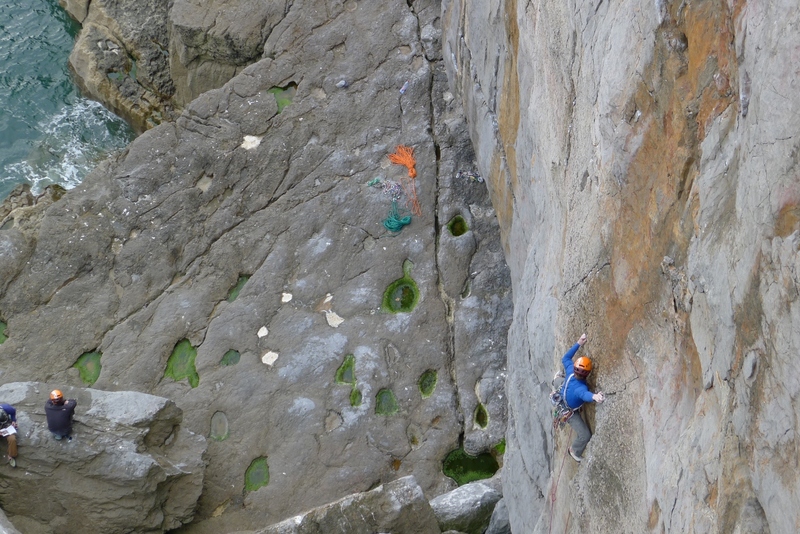 In some ways this crag seems to have brought about a real ‘vibe’ to the local climbing scene and loads of quality new routes are being climbed both here and elsewhere on the local limestone with grades ranging from F5+ to F8c+. Twll Mawr’s West Wall is best known for the Dawes classic ‘The Quarryman’ and boasts a good number of desperate and unrepeated slate masterpieces. ‘The Wonderful World of Walt Disney’ is one of these. 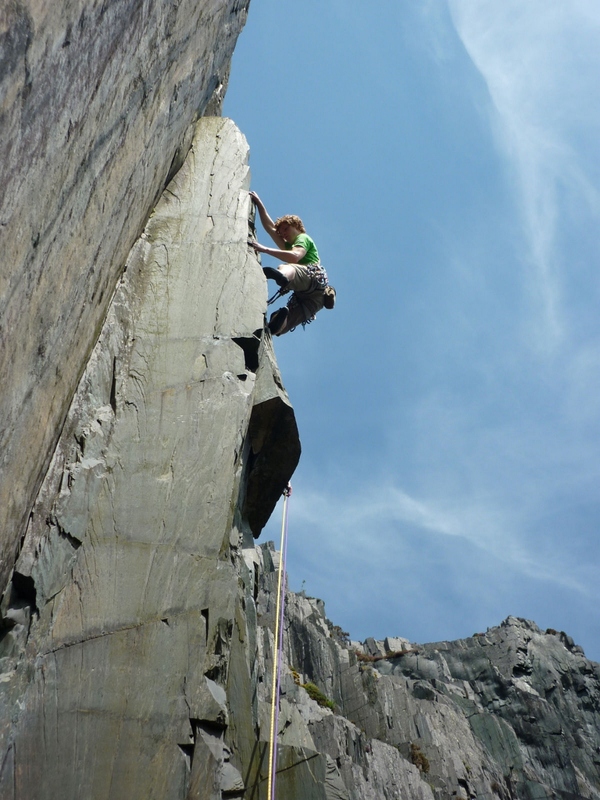 It very rarely gets climbed perhaps being overshadowed by its more famous neighbour and has four fantastic and varied pitches. 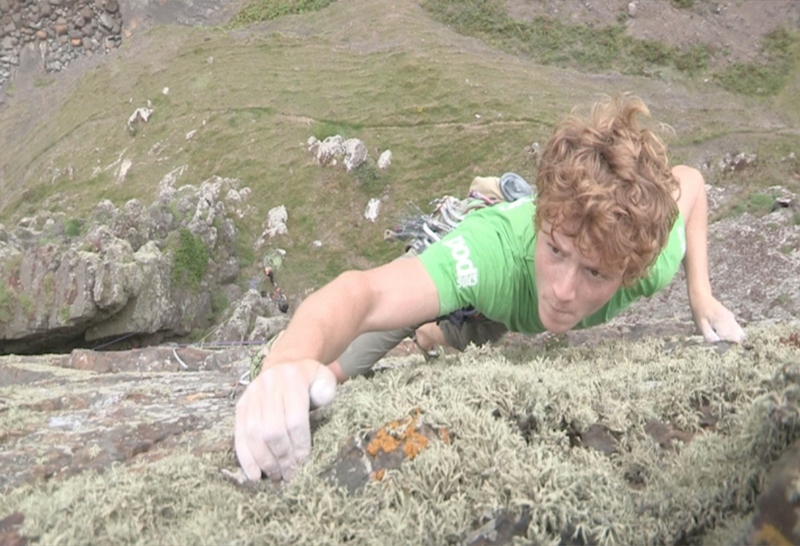 A slippery layback groove, a technical arête, an outrageous jump across a groove and a delightful finishing slab. It’s graded at E6 6b or a spicy F7b. Get on it!